Recognized as one of the world's great wine regions, Napa Valley is only 30 miles long and a few miles wide at its broadest point. Within this slender area, a few subappellations have demonstrated that they can produce superior Cabernet Sauvignon and Merlot. 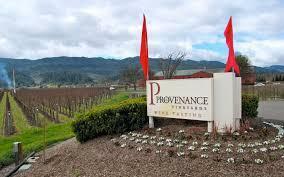 By selecting top vineyards in these subappellations, Provenance Vineyards showcases the unique personalities of Napa Valley's best growing regions. Please review our page on vineyards for more detailed information and history on a selection of the vineyards Provenance sources grapes from. Our goal is to showcase the distinctiveness of Napa Valley's best growing areas. Great wines start in the vineyard, so we've selected top vineyards and intervene as little as possible during the winemaking process. We gently guide the grapes into wine, striving to bring out the personality, complexity and uniqueness of each vineyard and vintage. Provenance wines offer a balance of elegance and substance with deep, intense flavors that reflect the vineyards where the grapes were grown. We craft these age-worthy wines to be approachable upon release to the public.